The JECS is the largest birth cohort study first ever conducted in Japan that investigate the relationship between a wide range of environmental factors and children's health and development. 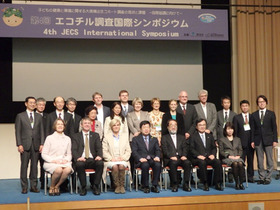 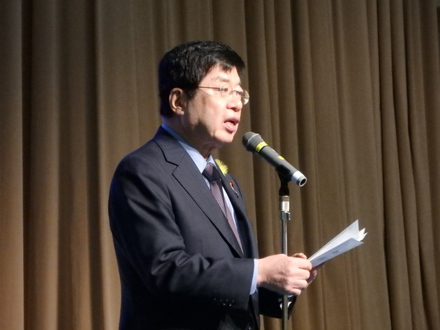 Mr. Hiroshi Hiraguchi, the State Minister of the Environment, attended JECS's international symposium and exchanged opinions with overseas experts. 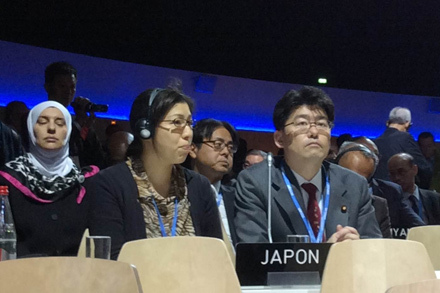 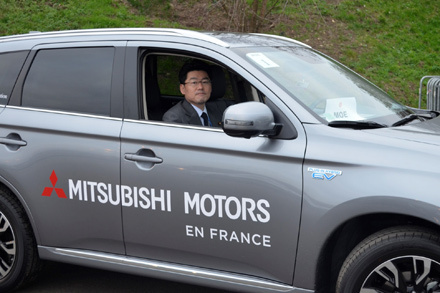 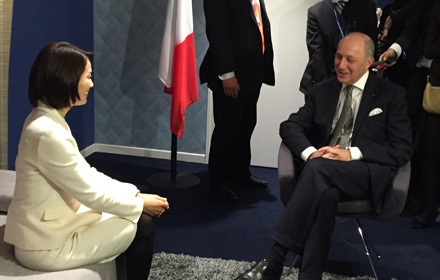 "3rd JCM Partner Countries' High-level Meeting" was held in Japan pavilion at the COP21. A group photo of Ms. Tamayo Marukawa, the Ministry of the Environment and representatives from 16 JCM partner countries is from News Headline. Minister Marukawa discusses with representative from partner countries. 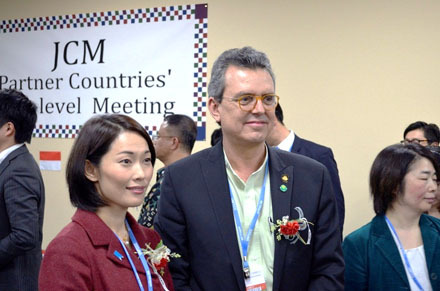 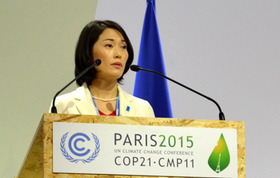 Ms. Tamayo Marukawa, the Minister of the Environment, attended the High-level segment at the COP21 to negotiate over the establishment of a fair and effective international framework applicable to all Parties. 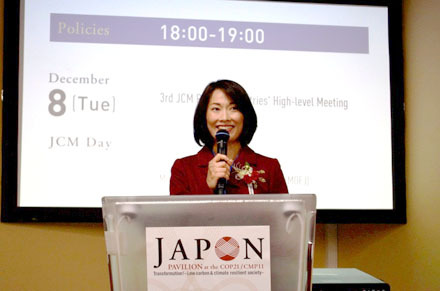 She also exchanged opinions with some countries and organizations to express Japan's point of view. 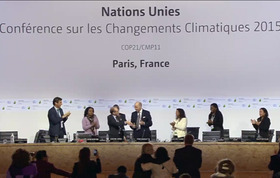 The Paris Agreement was adopted. 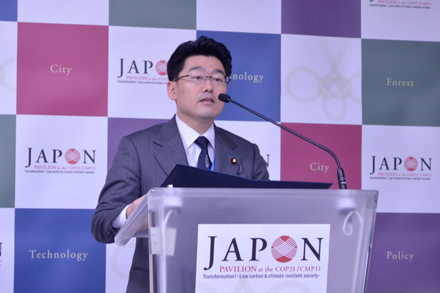 Parliamentary Vice-Minister　Oniki attended the Opening ceremony and the Leaders Event of COP21, and also gave the opening address at "the Japan Pavilion," which exhibited Japan's efforts to tackle climate change. 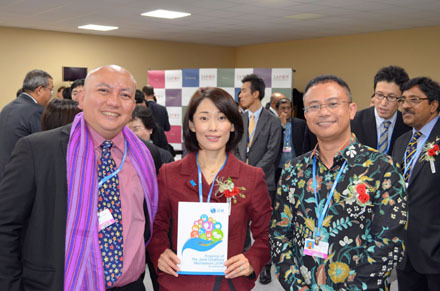 He also exchanged opinions with Mr. Rintaro Tamaki, the Deputy Secretary General of Organisation for Economic Co-operation and Development (OECD) and Dr. Naoki Ishii, the CEO and Chairperson of Global Environment Facility (GEF).